As i've been blogging for 3 years now (celebraaateeee!) I have spent hours upon hours looking for the perfect fonts to use or the loveliest graphics to pop on my blog. Over these 3 years I have collected and saved the best resources for bloggers that I could find, so I thought it was about time for me to start sharing these things, so everything is made a little easier for you. (and may make things look even more fabulous!). I am loving these fonts, great picks! 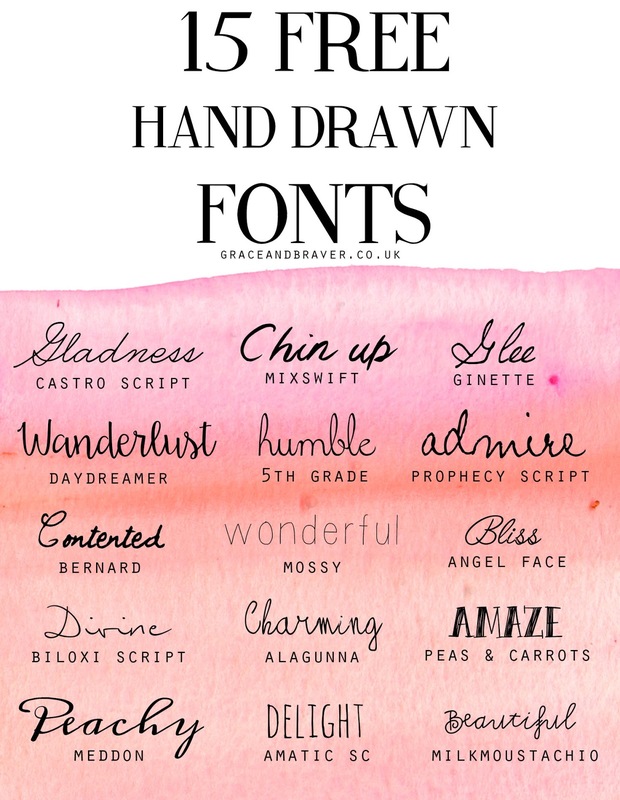 Love all of these fonts, i'm thinking of changing the header of my blog & these would be fab! Awesome Fonts. Mostly i use Syabab Brush Script Font.